Writer and photographer. Adventurer and vagabond. Master of the handstand pushup. Will Hatton has been gallivanting around the globe for the last seven years and has no plan to stop anytime soon. He first hit the road when he was just nineteen and totally, utterly, broke. He hitched across Europe, sleeping rough and dumpster diving, spending the money he did have on, well, beer. Will has a real thirst for adventure and specializes in getting into, and then getting out of, various scrapes. He has encountered guerrillas in Burma, been arrested in Israel, crashed motorbikes in Vietnam, been hospitalized in Costa Rica and nearly died in Nepal. Will passionately believes that absolutely everybody can and should travel; money is not a problem. If you have the passion to hit the road, simply do it; hitch, couchsurf and dumpster dive – anything to make your dream a reality. Recently, Will has become a bit of a celebrity in Venezuela after being the first travel blogger to visit the area for years. 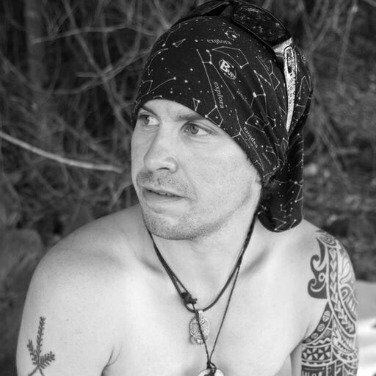 His main aim whilst traveling is to seek out unique experiences; whether it’s getting inked by a 97 year old woman in the jungle or staying in a rock-cut cave with a Rastafarian Bedouin. Conquer of perilous peaks and in constant need of a shave, Will has lived in India, Colombia, and Laos. Will is relatively new to the blogging game, having only started his blog 9 months ago, but has already been featured by Yahoo, The BBC, Reuters, The Daily Fail and others. Will is our resident budget backpacking guru and his blog, The Broke Backpacker is packed to bursting points with practical advice on how to travel the world on the cheap and how to get off the beaten path in search of genuine adventure.